I love sloppy joes! I haven't always. Growing up, my mom used to make sloppy joes from scratch and I really didn't care for them. I think she used a mixture of ketchup and mustard and probably added in some of the homemade tomato juice that they always canned every summer. It was on the runny side and it just didn't have that sweet and tangy taste that I have now grown to love. I disliked her sloppy joes so much that she had to make me a plain hamburger patty every time she made them. The first time I tried the canned version of the sauce, I was in heaven! I thought that was the best stuff that I had ever eaten. From then on I loved sloppy joes! But that was back in the 90's. A time when we were young and carefree and the price of beef was where a poor 20-something could actually afford it. In fact, hamburger used to be considered a budget meal! Now, not only is beef NOT a budget item but it is not all that healthy, unless you are lucky enough to raise it yourself or buy from a farmer that you know is raising their cattle grass fed. I have my sister Lori to thank for turning me onto lentils. Last year, we were looking for substitutes for meat during a time when we really needed to watch our money. Before I go any further, I have to add that my husband is all about eating meat. He would eat meat and potatoes for every meal if I let him, so the idea of substituting a couple of meals a week with vegetarian meals did not exactly thrill him. But my sister assured me that lentils were very tasty, were inexpensive, and could be substituted as a meat in just about any dish that calls for hamburger. 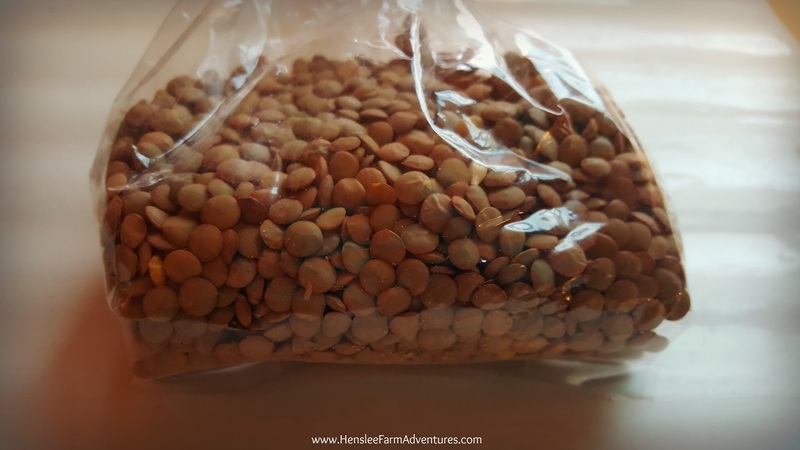 I first looked up the benefits of lentils which include: good source of iron, great source of protein, low in calories, and the list goes on and on. Next I looked up recipes and found a ton of recipes with lentils. Things like chili, salads, lentil loaf (instead of meatloaf), taco lentils, and of course sloppy joes. The first time we made the sloppy joes, I followed a recipe I found. It was okay, but not great. The lentils were under cooked and the sauce didn't have any wow factor. But, it was good enough that I knew, if I started tweaking the recipe, it could be great! 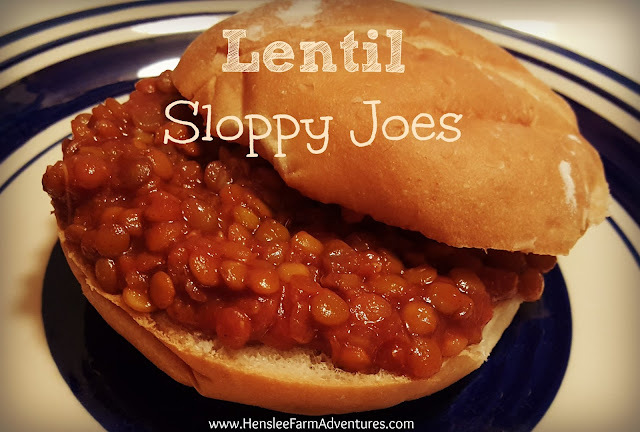 So that is what I have for you today, my tweaked version of lentil sloppy joes that my family (kids included!) love! You can get green, red, or black lentils. We usually gravitate towards the green because they are easier to find in regular grocery stores. We like to cook our lentils till they are soft, but just before the mushy stage. Like I said the first time I cooked them, they were under cooked. I believe the recipe said to cook them for 15 minutes. That was not long enough for us! We really wanted it more of the consistency of the hamburger meat that we were replacing. 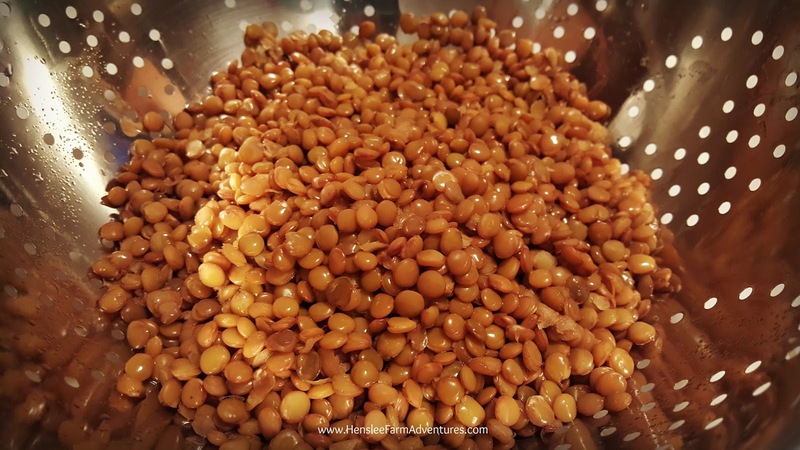 Also, I need to mention that before you cook your lentils, you need to go through them and wash them just as you would dry beans. 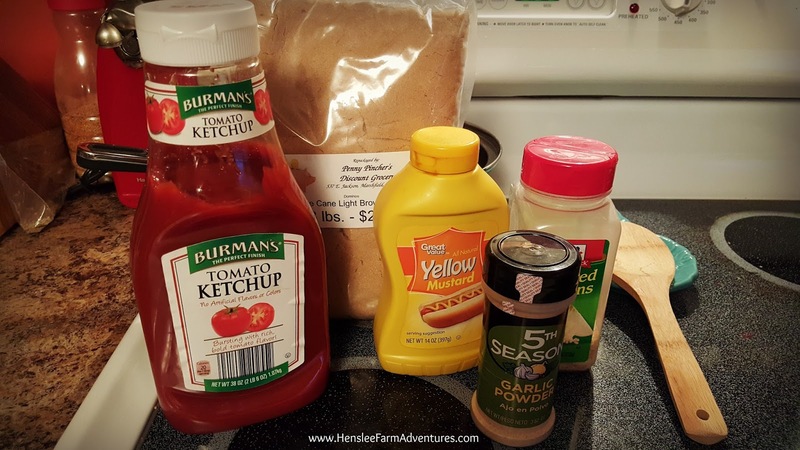 The sauce for this recipe is a cross between my grandmother's swedish meatball sauce and what I use for baked beans. I decided to stick with a sauce I was familiar with and play with the amounts and add and tweak as needed. So here is our version of lentil sloppy joes. Ingredients...just missing the Worcestershire and tomato sauce. Bring 4 1/2 cups of water to a boil. Add in 1 cup of dry lentils. Reduce heat and let simmer 25-30 minutes. This is double the amount of time that the original recipe we tried said. For us it was trial and error and this is the consistency we liked. I would suggest cooking them for 20 minutes, tasting one to see the texture and then if too hard, continue cooking. While the lentils are cooking, you can prepare your sauce. Add the tomato sauce, ketchup, brown sugar, mustard, minced onions, garlic powder, and Worcestershire sauce to a sauce pan and cook over low heat. You want the sugar to dissolve and the flavors to meld. Let it simmer until the lentils are done. Once the lentils are cooked to your desired consistency, drain off the water. Add your cooked lentils to your sauce. At this time, you can keep them warm on the stove, which is what I had to do, just be careful not to overcook the lentils or they will turn into mush. 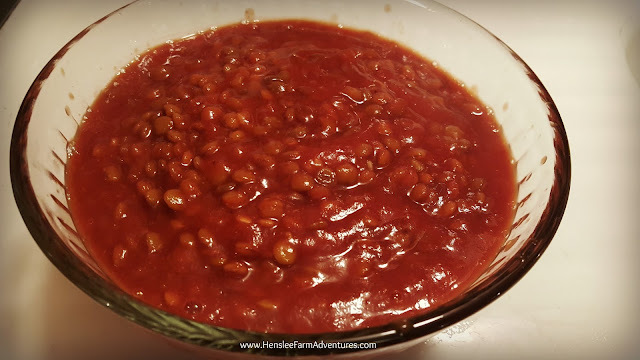 Cooked lentils in sloppy joe sauce. You can see from the picture that it is pretty saucy! We like sloppy, sloppy joes. 1 cup of lentils more than fed our family of 4. In fact we have quite a few left-overs. If only I would have had time to make my own buns, that would have made the meal. However I was able to pick these lovely buns up for 1/2 price because of the use by date. I didn't mind that they were expiring that day since I was going to be using them the same day. The whole sandwich was delicious! I really hope you give this recipe a try. Want a printable version of the recipe? Then click HERE. And please let me know in the comments below what you think about using lentils or if you have even tried them before. This is great! Gotta try this. Looks super good too. Thanks for sharing. Let me know if you do try it and tell me what you think. We made baked potatoes the other night and the leftovers of this ended up as a topping choice. Very yummy! This really looks great - I'm going to have Kristi try this. Let me know if Kristi does try it. Knowing her, she probably already makes her sloppy joes from scratch. She can use her own sauce recipe or try this one. I think you would really like this one.